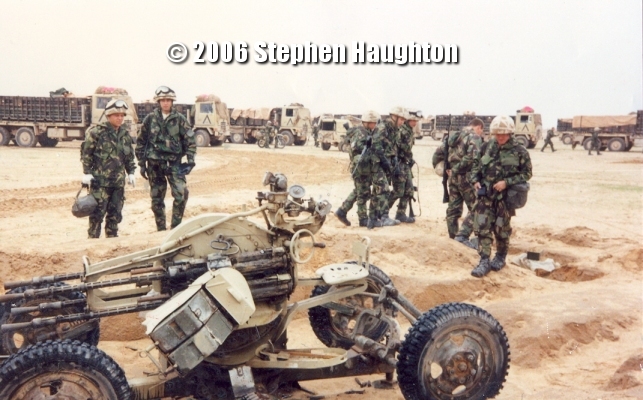 After waiting to deploy from Saudi Arabia into Kuwait from the south,orders came to move in a flanking movement away from the line of advance from the south into Kuwait with the U.S. Marines, to a north west approach along the MSR(Main Supply Route) bordering western Iraq. 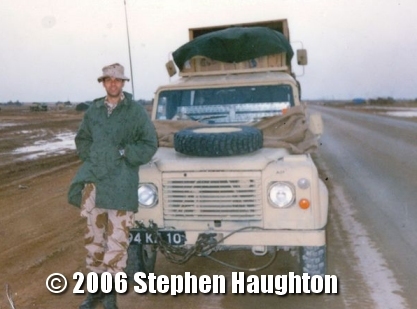 This involved driving through the night until we reached our start point and a sharp turn right towards the Iraq border. The weather was miserable, heavy rain and cold winds. 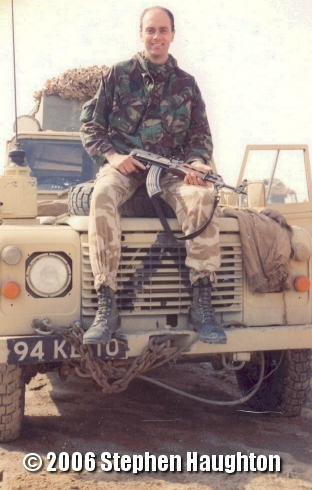 It was during this period some 600 kms northeast of 4 armd divisions position, that the huddled remains of a 22 SAS patrol, Bravo 20, were experiencing even worst conditions of freezing sleet and rain. By this time my bartering skills had been refined, and I was clad in the latest desert kit of American boonie hat, desert parka and jungle boots. Only British army desert pattern combat trousers remained, to say nothing of their rations (MREs) and self heating tins of corn beef hash! 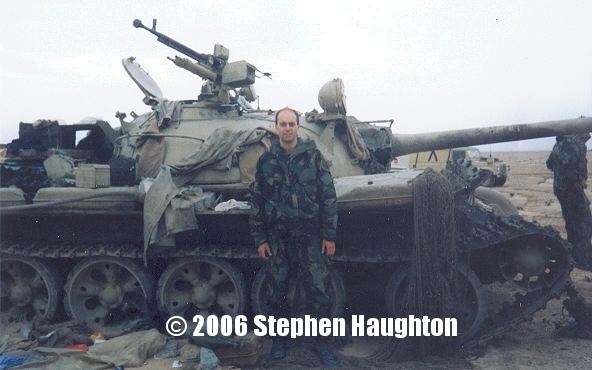 The advance bored on across miles of flat featureless desert terrain, marks on a map with names like bronze, silver and gold passed by, only the burning hulks of enemy weaponry signified the destruction of the Iraq army. Time stretched before us, a short break and enough time to get a closer look at the opposition, not impressed by the Chinese copies of 1960s Soviet era armour, completely outclassed by western technology. So with the WW2 Battle ship USS New Jersey moored off shore, waiting hours before to fire shells the size of a mini car on to the enemy costal battery, which I now found myself standing next to, made for a sobering thought. 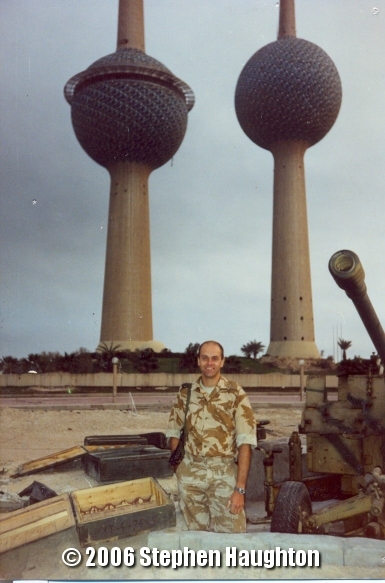 The centre of Kuwait city was a devastated smoldering shell, littered with the remains of a brutal occupation. A bully, who tried to box above his weight only to receive the full force of a highly trained post-cold war opponent.